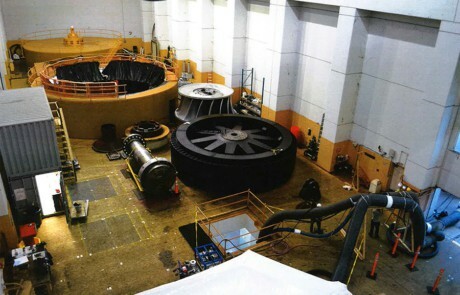 The US Army Corps of Engineers, Tulsa District operates and maintains eight hydroelectric power plants in eastern Oklahoma, Texas, and Arkansas. 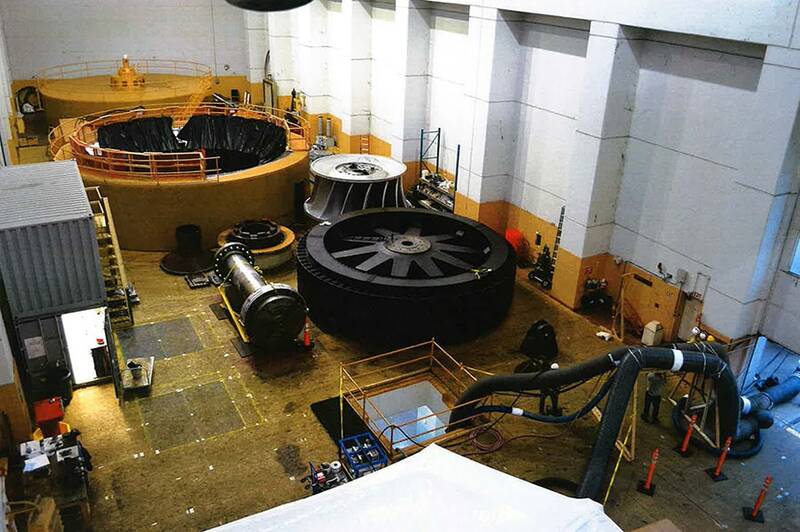 In 2014, they began major rehabilitation of turbine units 1 and 2 at the Denison plant in Lake Texoma, TX. 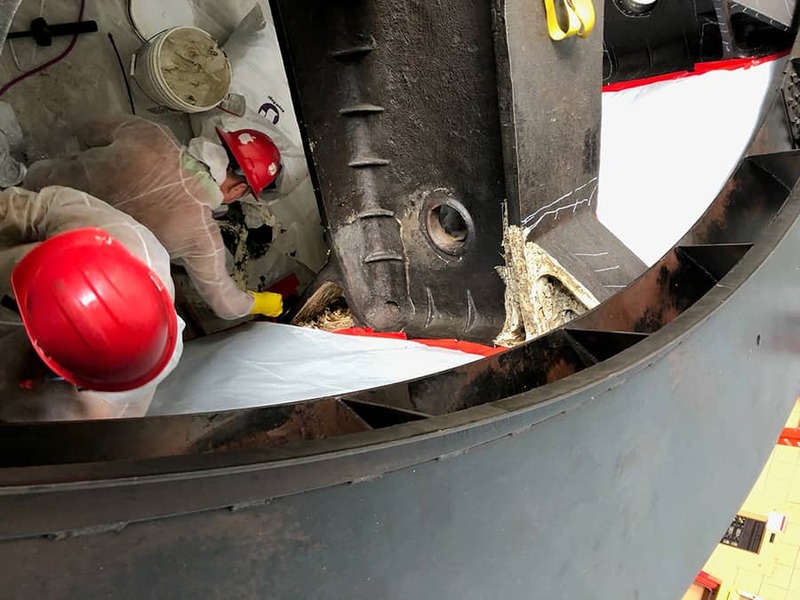 However, the discovery of lead-based paint on the rotor (see photo 1) caused delays in testing and inspection of the cast metal rotor and forced the District to find a quick way to contract for remediation services to keep their rehabilitation schedule. 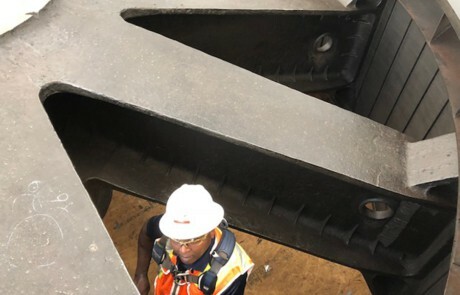 They were able to bring OTIE in for lead-based paint removal and nondestructive testing (NDT) through OTIE’s single award task order contract (SATOC) for environmental remediation services (ERS) with the District. 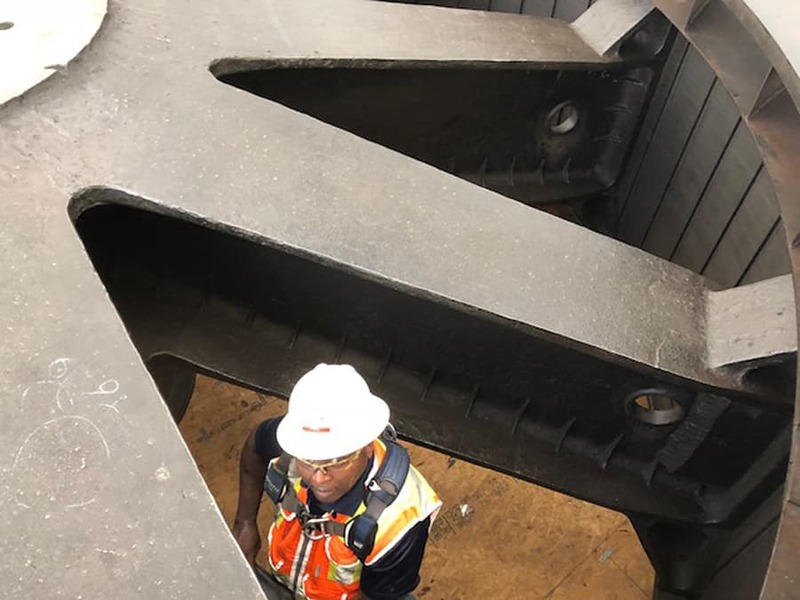 OTIE’s first task was to remove the lead-based paint coating from each test location before proper NDT could be conducted. 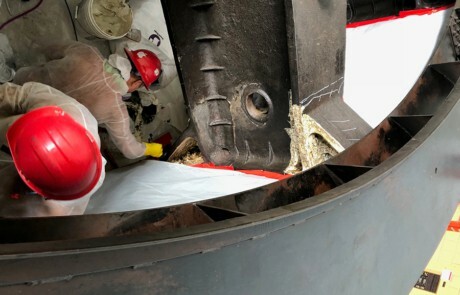 The lead paint was chemically stripped by a licensed abatement subcontractor; mechanical methods were not allowed due to potential damage to sensitive electronics on the rotor and particle contamination of the stator’s copper windings. After the metal at each testing area was exposed, a certified NDT subcontractor performed dye penetrant testing and delivered a results report. OTIE provided paint stripping, NDT, safety oversight, and project management.